If you've received an email that states that your payment was unsuccessful, first ensure that we have the correct credit card on file. In the email you will see the credit card type and the last 4 digits of the card we tried to charge. If the card number and type are correct, and you believe the payment should have gone through, contact your credit card company first. They will be able to help you understand why the charge was declined. 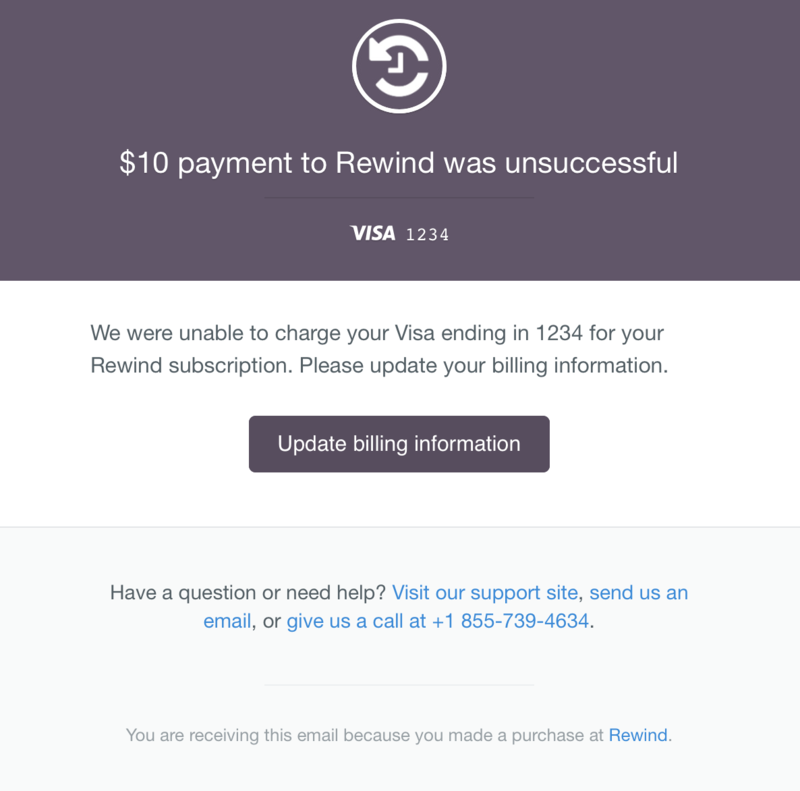 If you need to update your credit card details, you can email us at help@rewind.io or call us directly at 1-855-573-9463, and we can assist you in updating the billing information on file. If you have any outstanding Invoices on file, we can also assist you in paying those at that time.